Egyptian giants Zamalek will be favourites to progress following a goalless draw in their Caf Confederations Cup first-leg quarter-final clash against Hassania Agadir at Stade Adrar in Agadir on Sunday. The visitors were the inferior team throughout the match, but were able to keep out a relentless HUSA side who now have an uphill task, if they are to deny their North African rivals a place in the final four. Zamalek seemed happy enough to play for a draw on Moroccan soil, but conjured a late chance through Youssef Obama who came close to nicking what would've been a valuable away goal. The White Knights forward, though, was brilliantly denied by HUSA shot-stopper Abderrahman El Hoausli as the two teams ultimately settled for a 0-0 stalemate. The second-leg will take place in Cairo on the 14th of April. 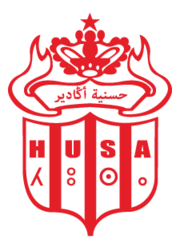 HUSA: El Houasli; Rami, Boufitini, Sadiki (Qasmi 71'), Daoudi, Khanboubi, Kimaoui, Chaouch, Bennani (Berkaoui 76'), Seyam, Alfahli. Zamalek: Gennesh; Alaa, Nagguez, El Wensh, Hamed, Aziz, Hassan (Hassan 79'), Gomaa, Zizo (Ibrahim 87'), Obama, Boutaib.